In our yesterday's post about AuthorRank, we talked about how Google is working out on a new way to weed out spam from the web, and rank online content more effectively. Since then, some of our readers have been asking what's the difference between PageRank and AuthorRank, and which one is 'better'. Well, before we go on explaining which is 'better', we first need to take a look at what AuthorRank is, and how it is different from PageRank. 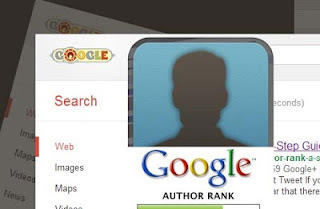 Part1: What is Google AuthorRank and How exactly it works? Part2: Difference Between AuthorRank and PageRank? How does AuthorRank differ from PageRank? AuthorRank and PageRank are similar to each other as far as informing search engines about the quality of content is concerned. But that's about it. PageRank is a way of ranking pages that hold certain content. And AuthorRank is a way of ranking authors who create that content. Consider a triangle where the content is at the first corner, the creator (author) is at the second corner, and the container (site or domain) is at the third corner. PageRank is the relationship between the first and the third corner (i.e. between the content and the container). And it is restricted to these two elements only. AuthorRank is not only the relationship between the author and the content, but also between the author and the container. So AR can effect more than one domain. AuthorRank has some level of topic dependency as well. While PR ranks content found on one domain, no matter the topic, AR ranks content by topic as well. So a writer will have a better rank in literature, and a scientist will have a better rank in science. Unlike PageRank, AuthorRank is lesser likely to be abused. PR can be boosted by buying high quality links or guest posting excessively etc. But AuthorRank will associate a digital signature with content. So an author's credibility will be instantly become clear. AR vs PR, which is better? PR is effected by factors such as number and nature of incoming links, interlinking, richness of content, no malicious activity, and so on. These factors have mostly to do with how good some content actually is at its core. So in a way, PR is still the bigger metric. It can be used to judge how good a website is, and whether other content on that website is trustworthy or not, since that's what's readers are mostly looking for. They follow links within a site that they like. So a higher PR m eans a better site. But what about AR? Is AR important? Absolutely! AR depends on factors such as social activity and engagement, on-site engagement, sharing, comments, high-profile links etc. Hence, it has more to do with how content performs socially. A good AR will point towards a social and trustworthy content creator, and that's one of the most important thing readers look for in content. So in essence, AR is not here to replace PR. It will just inform PR, and will make PR more accurate. So for a higher PR, you will need to work on your AR, and vice versa. The inter-connection between the two will ensure more social engagement and build up of a site's trust. So start working on both from today! We will cover tips for achieving a good AR in our next installment in this series, so stay tuned!